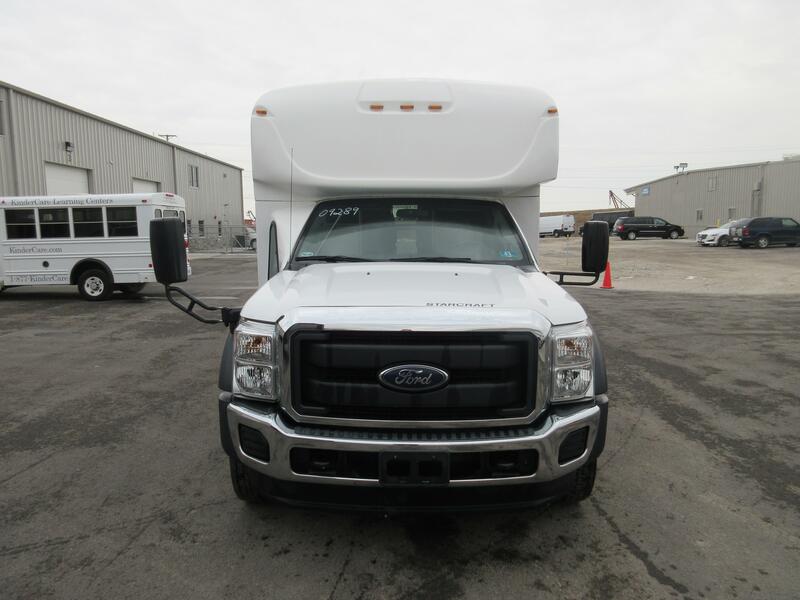 For sale is a 2015 Starcraft on a Ford F550 chassis with 48,117 miles. 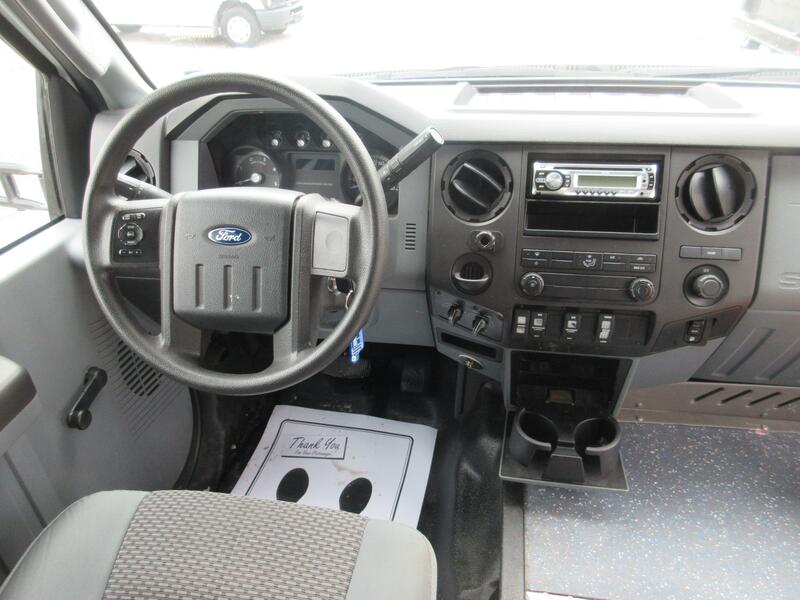 This vehicle comes equipped with manual windows and locks, tilt steering, tow/haul, CD player, electric entry door, entry grab rails, dash heat and AC, rear speakers, rear dome lights, high-back reclining seats, (2) three step foldaway seats, retractable lap belts, individual reading lights, armrests, overhead luggage, (2) rear TVs, t-slider windows, rear auxiliary heater, rear Transair AC unit, emergency rear door, emergency roof hatch, emergency equipment and much more. 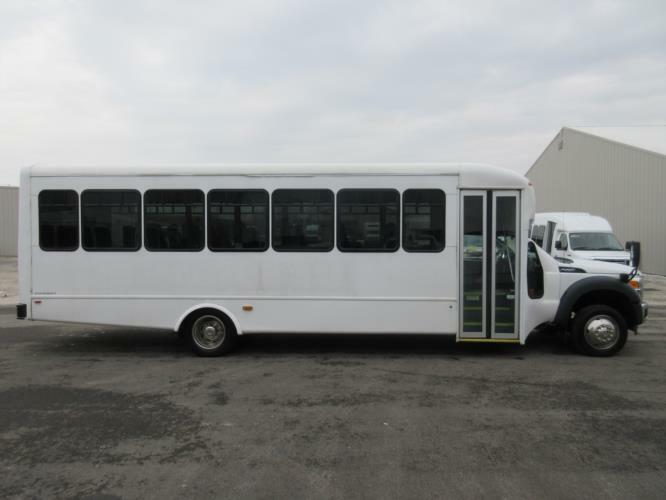 For more information, please contact the Used Bus Sales Department at 800-227-3572. Want to purchase with confidence? 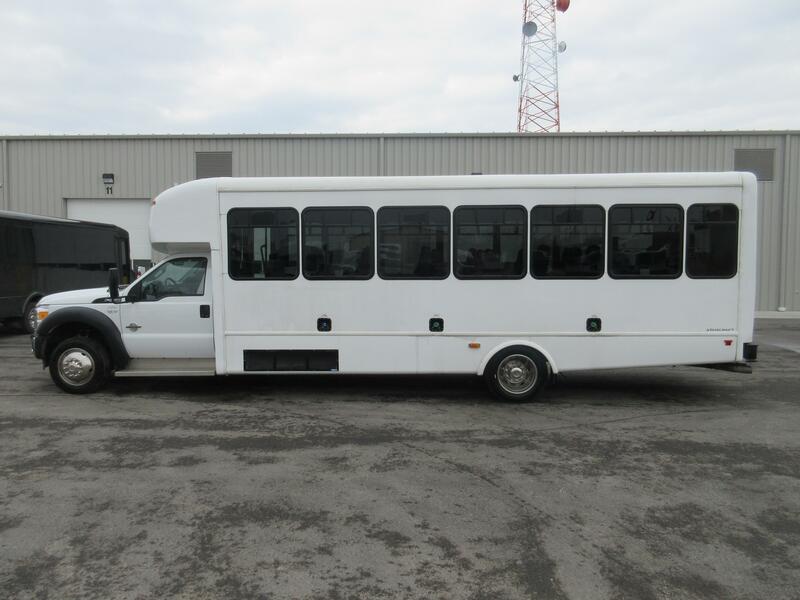 AutoCheck is an indispensible part of the used bus shopping process. The AutoCheck provides detailed reports about your vehicle and important, need to know information such as checking to see if the vehicle has ever been in an accident or confirming the reported mileage. The report also provides detailed information on odometer rollbacks, lemon vehicles, branded titles and much more. Use this tool provided to you free of charge, and purchase from TESCO with the confidence and knowledge you deserve! 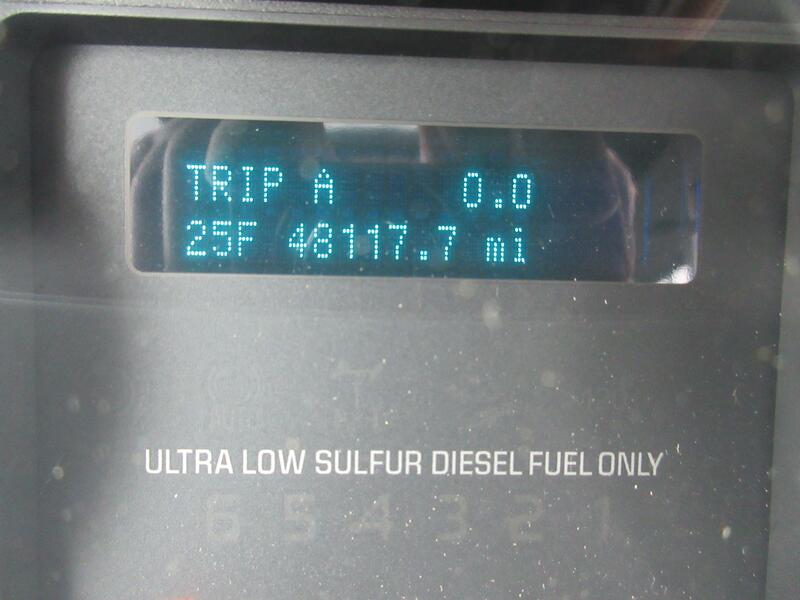 Worried about poor gas mileage? 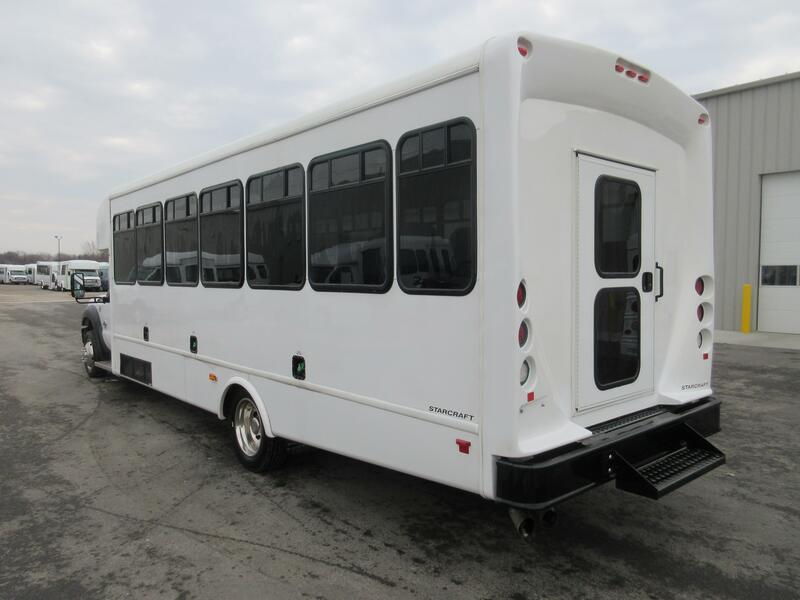 Upgrade your bus with aluminum wheels and see lower maintenance costs right away. 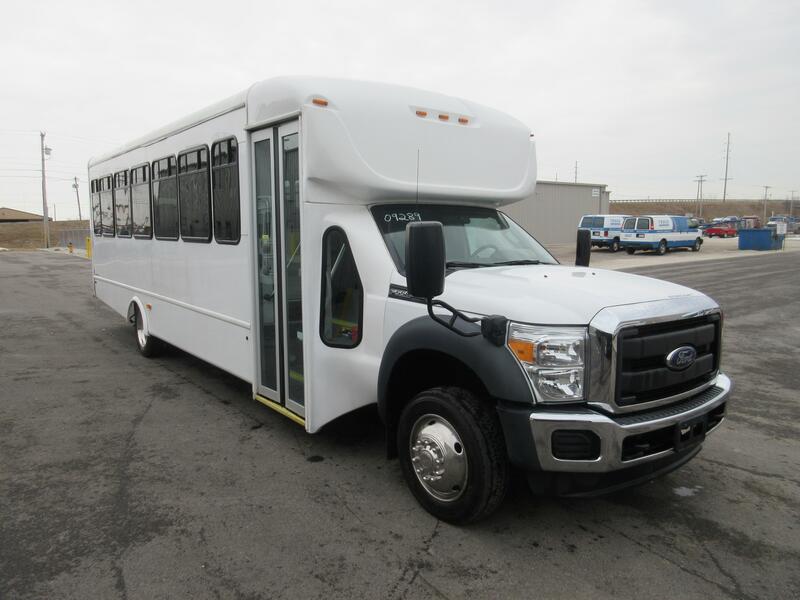 With aluminum wheels, you will benefit from reduced fuel consumption and reduced greenhouse gas emissions, all while profiting from improved durability and a higher resale value. Think safety first. Most TESCO Buses come with backup cameras already installed, but if yours doesn’t, TESCO has the capability of installing one for you! Your driver will be able to see in places that mirrors cannot. Keep repairs to a minimum, and customize your unit with this great money saving feature. It will be your driver’s best friend. The driver entry step is an option that is highly recommended. 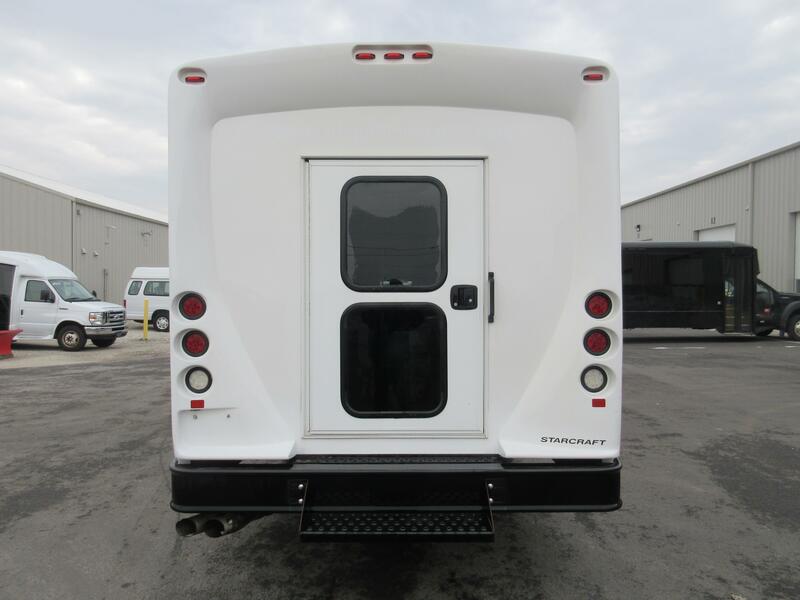 This option ensures that your drivers have proper support for entering and exiting the vehicle. 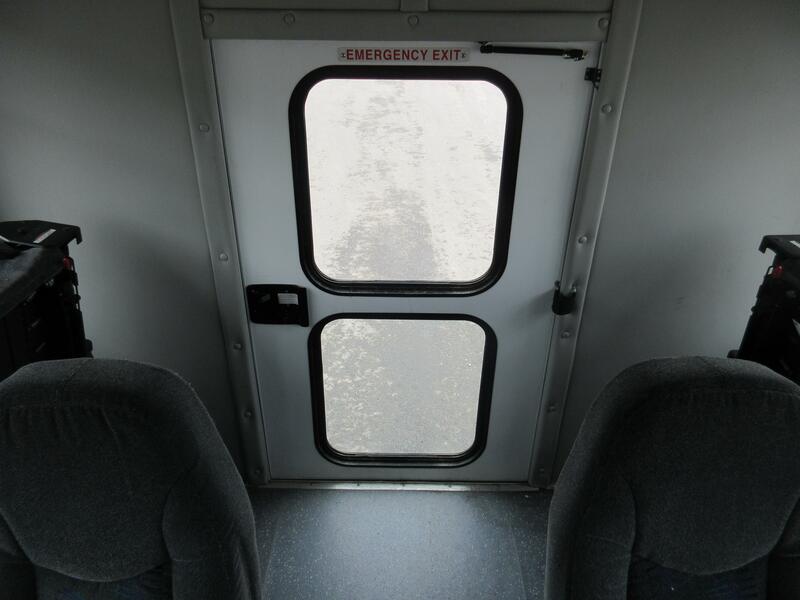 Adding a driver entry step can reduce the likelihood of your driver injuring themselves while he/she gets in or out of the vehicle. These steps make a safer and easier experience for your driver, and are especially helpful in cold or wet weather. 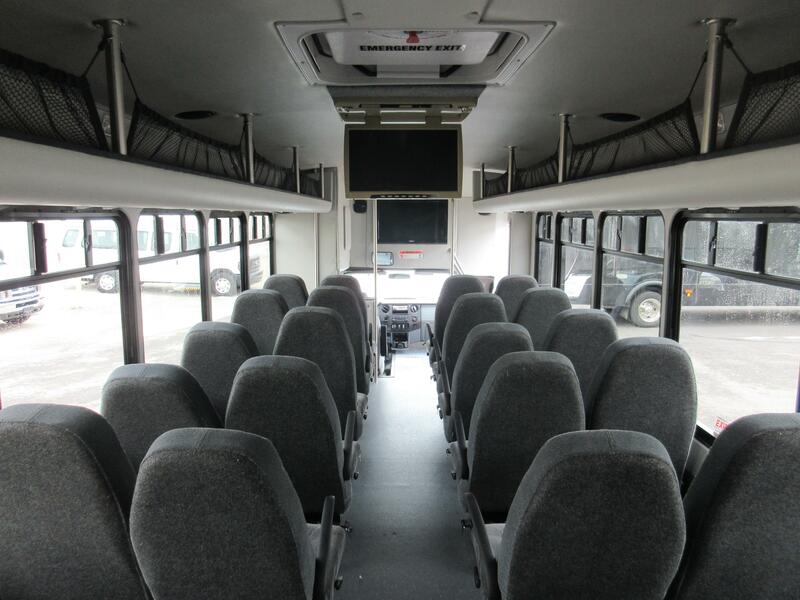 If you do not already have a TV in your bus and you want to provide your riders with some entertainment, a TV/DVD combo flip down package will sure do the trick! When the TV is out of use, it can easily be flipped up so that it is out of the way. TESCO prides itself on being a “full service” bus provider, and it starts with our in-house graphics department. Take advantage of showing off your company or organization name & logo by looking into our reasonably priced graphics packages. Please visit our Vehicle Graphics page for additional information. 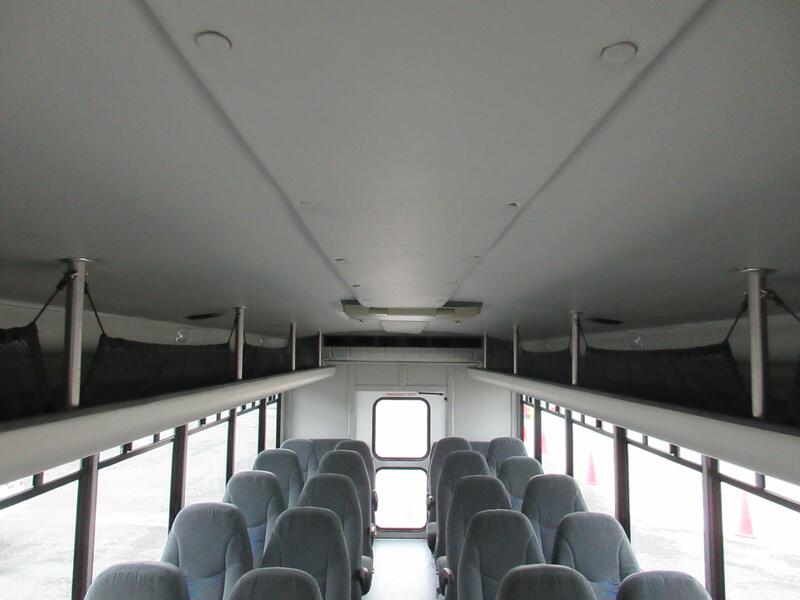 Make the most out of your shuttle operation by adding luggage racks to your bus. 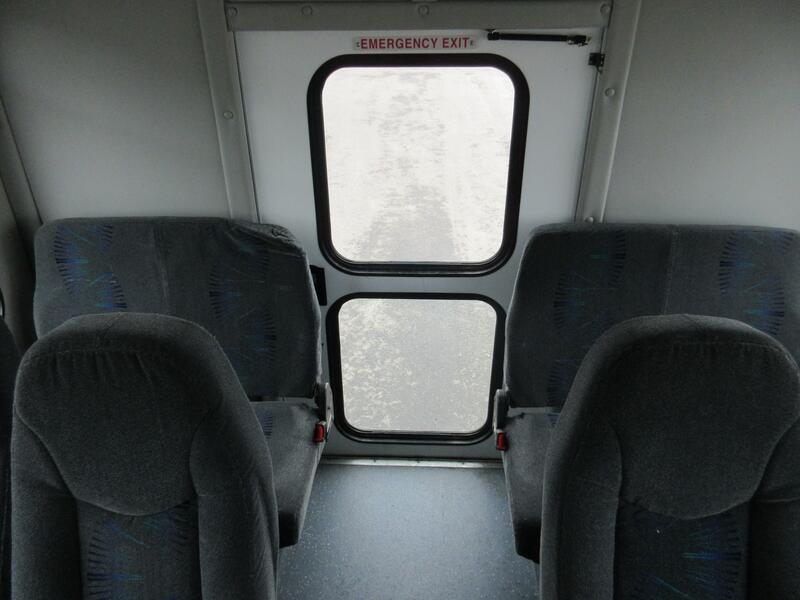 Additional room means additional comfort for your passengers. 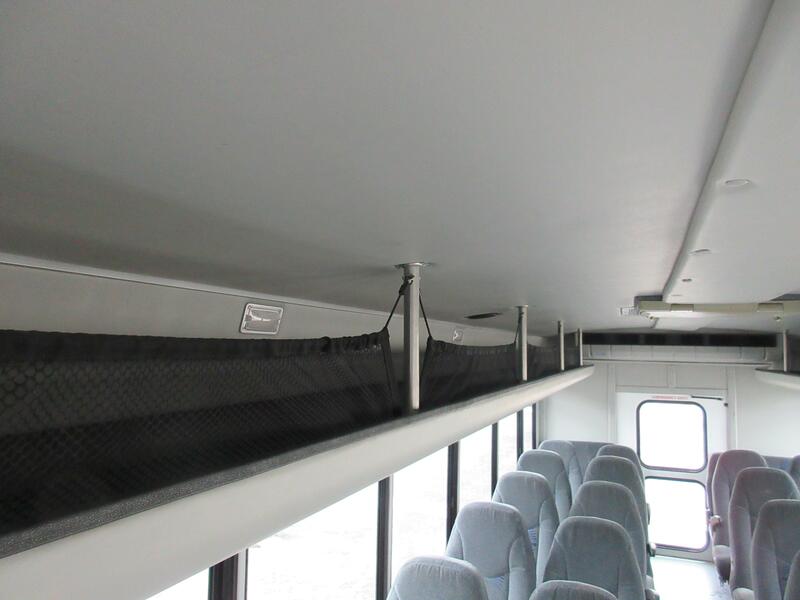 If you’d like for your riders to become repeat passengers, luggage racks are a must-have. Ask your TESCO Sales Rep for more information. Limited space on board? 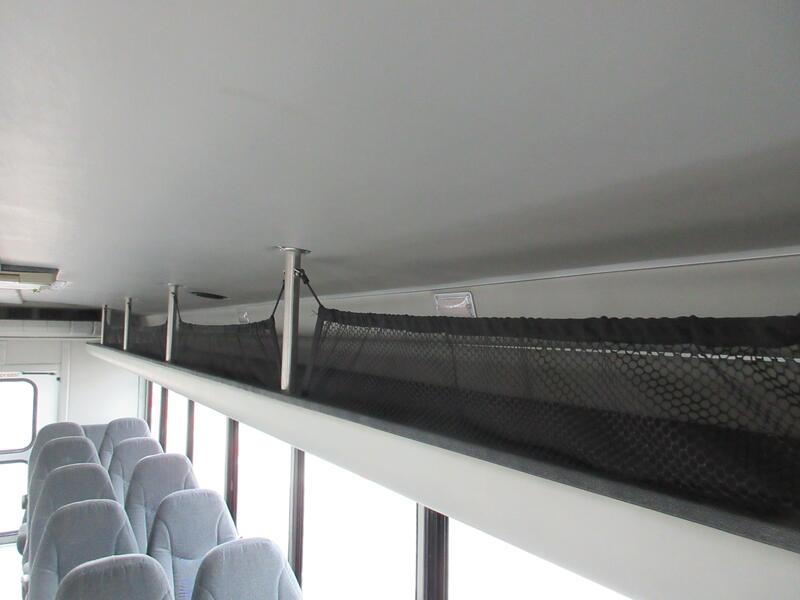 The overhead luggage option is the one for you! 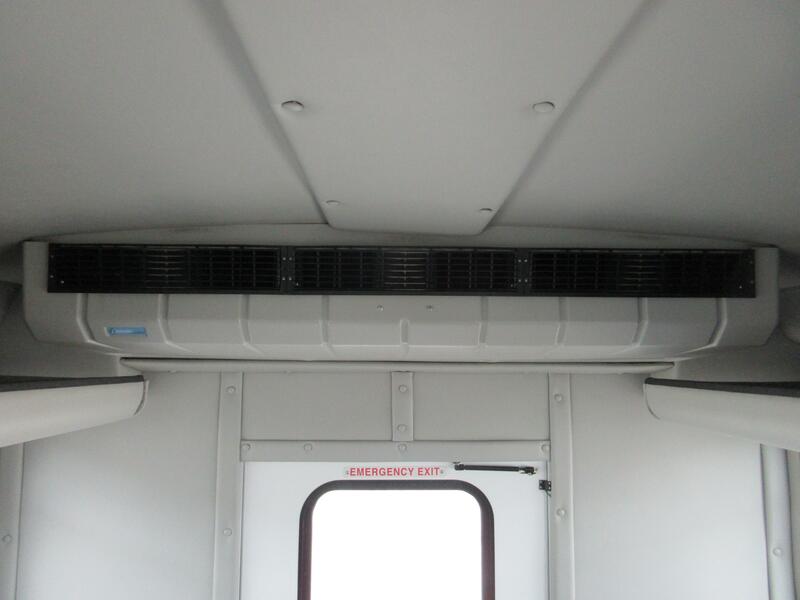 Keep the aisle ways clear and your passengers safe by having our service professionals install overhead luggage compartments. These are helpful when storing luggage, equipment, purses, backpacks and anything else a passenger might need while traveling. Keep both your driver and riders happy by installing or upgrading your vehicle’s radio. Time is sure to fly for your passengers while listening to music, weather, sports, or any other station of personal preference. Listening to radio can create a much more enjoyable experience for all aboard. Most vehicles already come equipped with seat belts, but if you have a specific restraint in mind or would like to change it to a different type, TESCO can help! Your TESCO sales representative will be able to show you the many different options that are available. Talk about a tough decision. Whether you’d like to maximize passenger comfort or make cleaning the inside of your vehicle easier, TESCO offers a wide variety of different types of seating fabrics to fit your specific needs. Some of the most popular types of fabric include vinyl, cloth, and Leathermate, but there are many more options to fit your personal preference. We encourage you to visit www.freedmanseating.com for more information on the different types of seating fabric we offer here at TESCO. 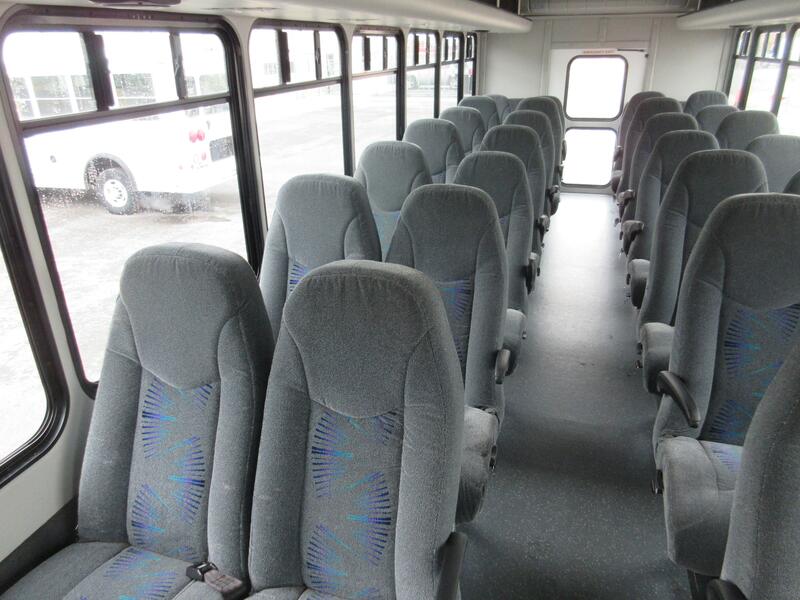 Taking long trips with a youth group or sports team? What better way to keep them entertained than installing a TV on your vehicle? We have many different options and sizes of TVs that we install here in-house at TESCO. 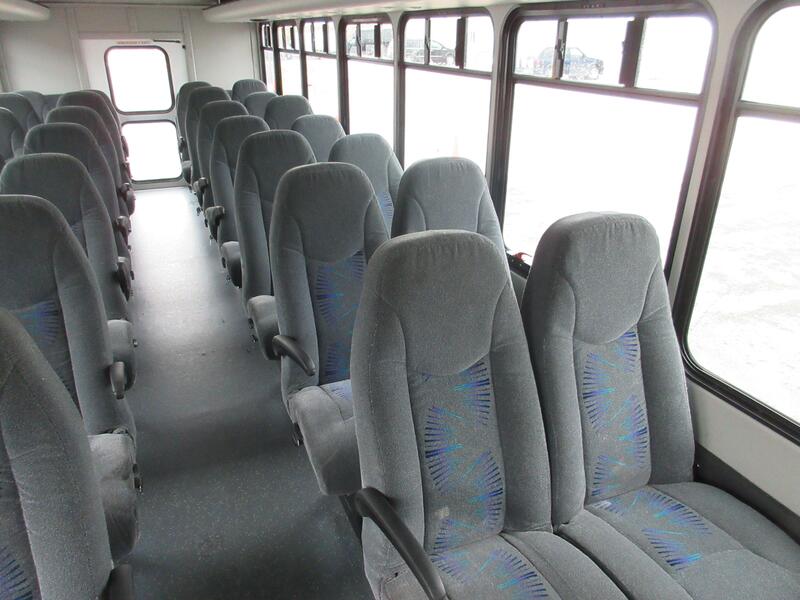 Your passengers will thank you for including USB Charging Ports on your bus. Phone batteries can drain quickly if not connected to a network- make sure your passengers arrive at their destination with a full battery. Most of our ADA wheelchair-accessible buses come standard with enough tie-downs for each bus, but it’s never a bad idea to have a few extra on hand. TESCO offers both Q-Straint and Surelock tie-downs, and we always have them in stock! 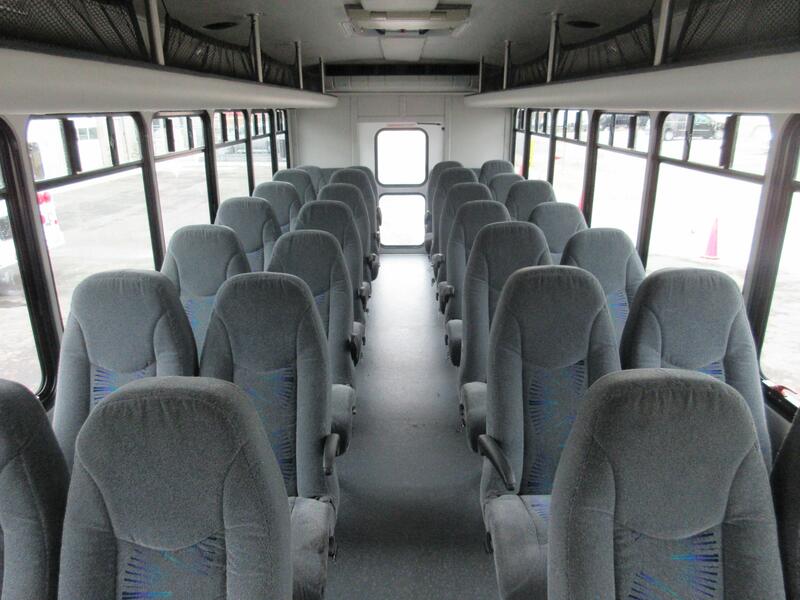 Stainless steel wheel covers are a great addition to your bus! The highly polished, easy to clean wheel covers help add to the cosmetic appeal of your vehicle without sacrificing efficiency. 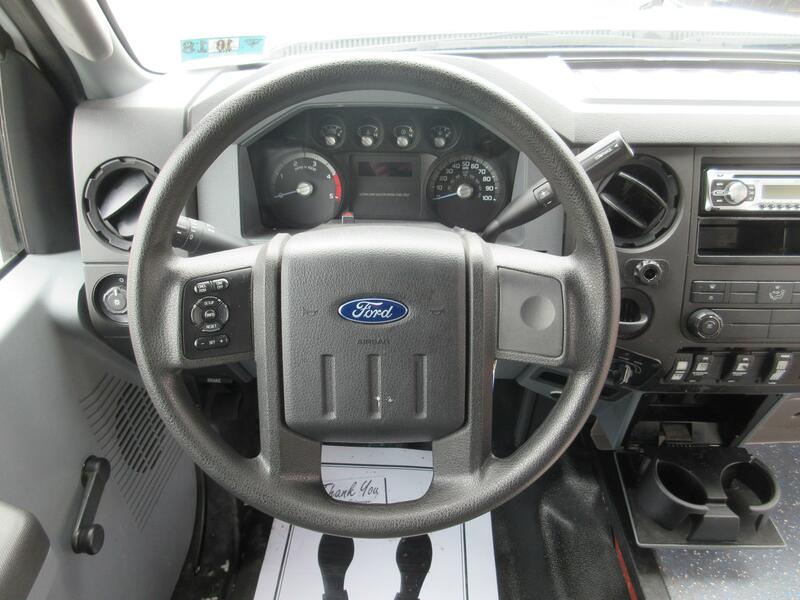 These are available for all chassis models, including Ford, Chevrolet, International and Freightliner. Stay connected wherever you go. You can now have WiFi added to any bus so that you never miss a beat. Your passengers will love that they don’t have to waste mobile data while riding with you!